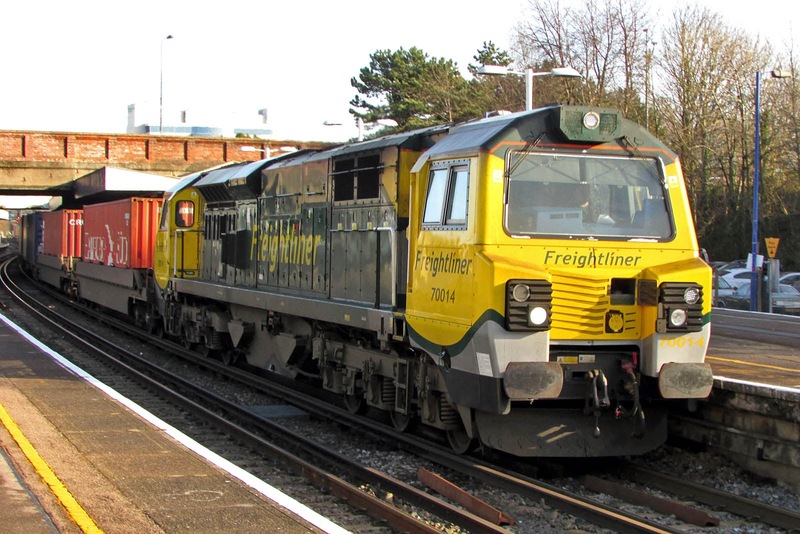 66558 approaches Southampton with 4M61 13:01 Maritime - Hams Hall, Saturday 24th January. 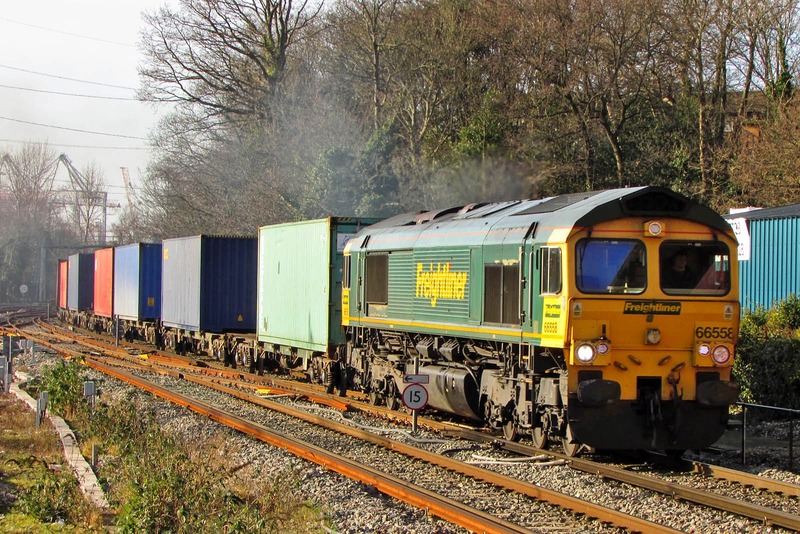 66527 Don Raider on 0O26 11:52 Hinksey - Maritime move. This earlier had an Enron badge above the name, now removed. 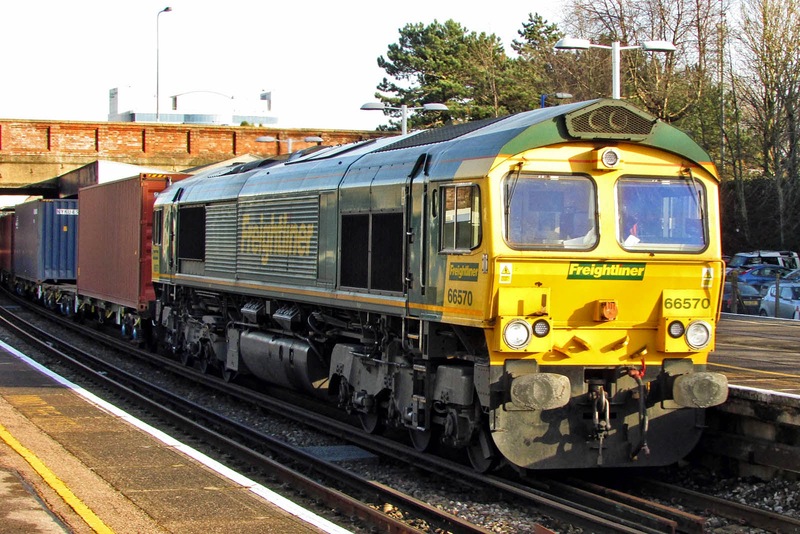 66766, from the most recent delivery, unloaded at Newport on 7th December and into traffic about 10th January, arriving at Eastleigh from Hoo on January 19th. 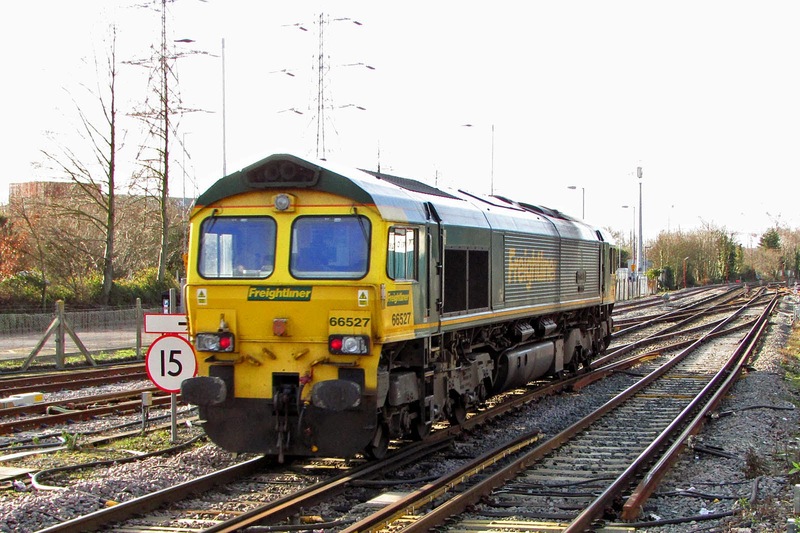 It performed some Railvac duties in the past week. 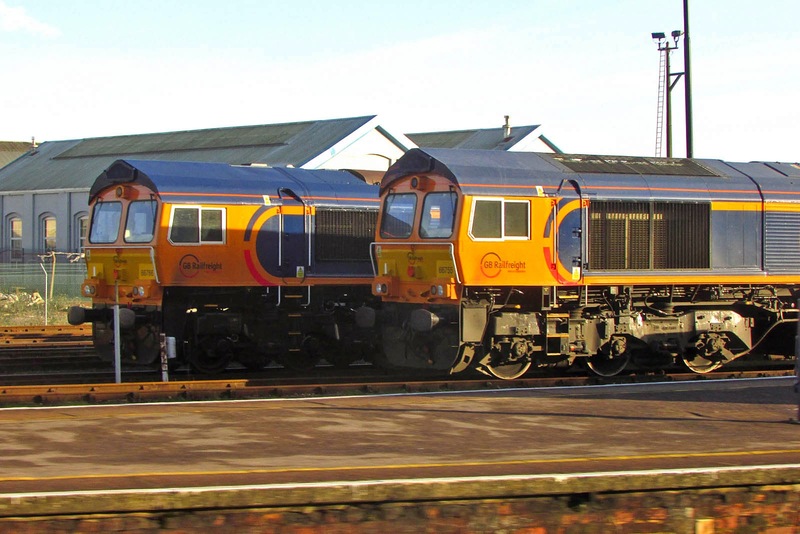 Seen along with 66755 at Eastleigh.